With organic rosewater & avocado. 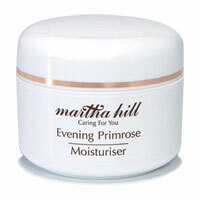 Moisturise, nourish and protect during the night when skin is relaxed and receptive. This rich formula is light textured and easily absorbed. Enriched with penetrating, skin nourishing oils it will help to re-hydrate and gently nourish as you sleep. You can wake up to skin that feels refreshed, renewed and ready to take on another day. Enriched with vitamin rich, natural ingredients including shea butter, beeswax, olive fruit oil and wheatgerm oil to revive and restore a healthy glow to dull, devitalised skin. After cleansing apply over face and neck. Massage gently with finger tips until absorbed. Rose Flower Water - calming and soothing. Shea Butter - softens and protects. Cocoa Butter - penetrating and deeply nourishing. Carrot Oil - rich in vitamin A, anti-ageing and protects from free radical damage. Wheat Germ Oil - nutrient rich to maintain elasticity and even skin tone. Tamanu Oil - has remarkable healing, anti-bacterial and anti-inflammatory properties. Vitamin E - anti-ageing, protects from free radical damage. Olive Fruit Oil - contains essential fatty acids. Beeswax - mineral rich emollient. Parabens, Petrochemicals, Phthalates, SLS/SLES, Colour, Parfum.